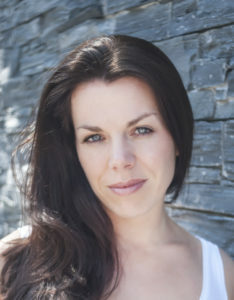 Sinéad O’Riordan holds an Associate Recital Diploma from LAMDA and has starred in an array of award winning short films, feature films, stage and radio plays. She is currently shooting a 6 part series called Sucking Diesel which is due for release later this year. Most recently she played opposite Peter Coonan in the short film Earthly Bonds which won the inaugural 2017 Film In Cork Short Script Award. Prior to that Sinéad played Garda Sarah Quinn in Maurice O’Carroll’s award winning feature film Dead Along The Way, a dark comedy which had an Irish theatrical release in 2017 and has just been made available worldwide on Amazon Prime. Sinéad also stars in the multi award winning short film, Stolen, which saw her nominated for best supporting actress at the Action On Film Festival (California), won the Best ‘Creative Cork’ Award (1st Indie Cork Film Festival), the Grand Prix Cork (58th Cork Film Festival) and was screened in over 20 festivals worldwide. Theatrical highlights include John McKenna’s Breathless, which was nominated and won an Irish Times Theatre Award and saw her play opposite Ruth McCabe, the European Premiere of The Mother Fucker With The Hat and the Irish Premiere of The Woolgatherer.